Meet the brilliant Haverland Designer RC6TT wall mounted electric heater. Moving away from conventional central heating systems, the 'Designer RCTT' range is the way forward, using 'clean technology' to keep your interior decor stain, soot and dust free. Excellent product. Purchased as an alternative to my other Rointe heating. Very good value. Smart. Easy to fit. I did require hollow wall roll plugs. Set the P003 timing settings - with changes on day 1 to accommodate my 06.00 - 09.00 and 17.00 - 21.30 Hall heating requirements. Holiday settings are handled by pressing the snowflake button. Excellent service. From placing the order I was kept informed by email of delivery. The heater arrived the following day. Thank you very much for your feedback of our excellent service and delivery, we appreciate the great comments. I have started to replace old fashioned storage heaters with this range of heater. They are very good heaters the only complaint is the instructions are confusing. The controls have changed slightly since I purchased the first heaters and they are an improvement once you have mastered them. Very efficient, next day delivery. Well packaged. Thank you very much for the 5 star review of our efficient service. Good price. Very fussy settings compared with Rointe. But it's smarter looking and cheaper by a long way than the Rointe. Great price. Great service. Excellent delivery. I like the heater, but find the programmed timings bizarre! Wondering if they are designed for the Spanish market, which is where I believe the heater is made. All the programmed settings keep the heater on until midnight, I want it to go off much earlier. Setting the configurable option is very tedious, I've not mastered that yet. So have resorted the basic manual setting, but I would have much preferred an auto setting which suits my lifestyle. Good heater, Bizarre pre-programmed timer options. Good product first class service they do what they say they will. Thank you very much for taking the time to review our service as first class and excellent. Brilliant product. Easy to install. Economical to run. Looks good! Heater has been running for less than two weeks now but performing as expected. Like the controls and ability to see what power consumption it uses. Very modern looking unit and fits in very well in the current room. Will consider purchasing another for a smaller room in the house. The Haverland RC6TT designer electric radiator is a fantastic radiator and is perfect for the modern home. Service was extremely good, simple process to order and received our heater on time and date specified. Would recommend Heater Shop for those wishing to buy good quality electrical products. Thank you very much for the great review and recommendation of our service. Thank you very much for the excellent service review and recommendations. Thank you very much for your great comments, we appreciate it the glowing 5-star review. Nice looking heater, easy to fit. Great price on product, delivered quickly and on time. Thank you very much for your great comments regarding our service and how easy it was to fit. A garden office with a Haverland conservatory heater sounds absolutely fantastic, thank you for your feedback. You are very welcome - thank you for your great feedback. 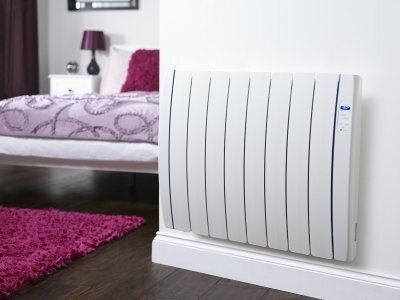 Excellent radiator, looks great, heats up really well, delivering even heating for the room. Easy to install on solid walls. Needs hollow wall fixings for plasterboard walls, Only slight niggle is knowing whether it is in program mode or not, and which program it is running. That is not very intuitive. Delivery on time, heaters are excellent. Dealt with one fault quibble free. Very happy. Thank you very much for your review. Please call us on 01473 276686 if you require any assistance with programming your Haverland RCTT. Nice neat heater, works well. Very happy with the service I received from the staff when I ordered, delivery was very quick and easy. Would recommend. Thank you for the recommendation and your great feedback. It is a very good product ! Thank you very much for your fantastic review, it means a great deal to us when we are recognised for our good work. Thank you for your positive feedback. We always try and keep our prices competitive and are really pleased that we were able to offer you the best price available. 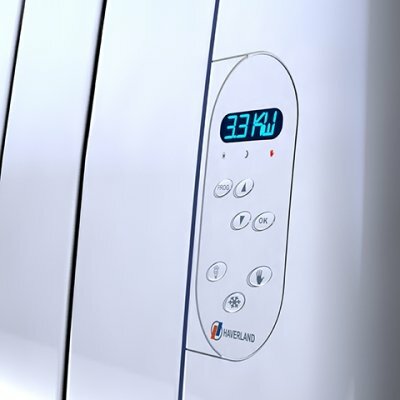 The Haverland RCTT really is a great radiator. If you need any future assistance, please contact us on 01473 276686. The Haverland RC6TT Designer Electric radiator is a really fantastic radiator, and I am pleased that you are really happy with it. Excellent heater, hope it uses less electric than my storage heaters. Electrician recommended this heater and i have already recommended it to someone else. 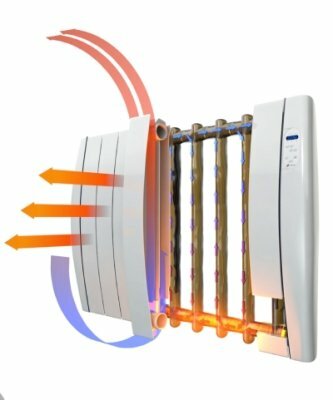 We ensure that our customers are always kept informed as much as possible and, we are really pleased that you have recommended our heater!